On occasions, it becomes necessary to add another database to the list of available Maze databases eg when adding last year’s archive database. To add another database to the list of Maze databases you first simply open/run the Maze program. 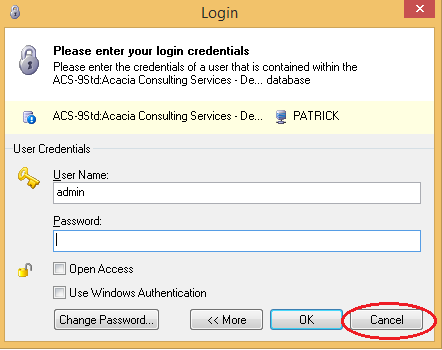 If the following screen comes up, do not log in but instead click Cancel. It will then take you back to the list of available Maze databases; click on the <<More button. 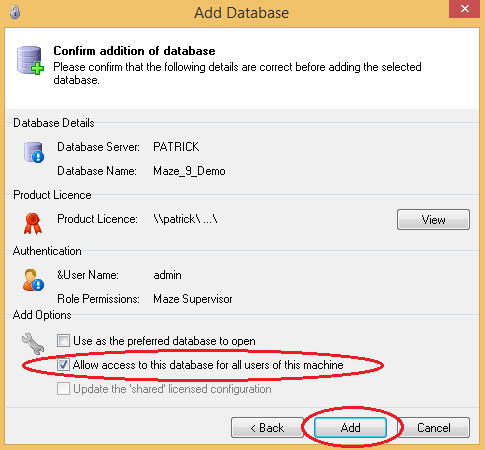 In the Add Database window you will need to know the named instance of the SQL Server where the Maze database is stored. 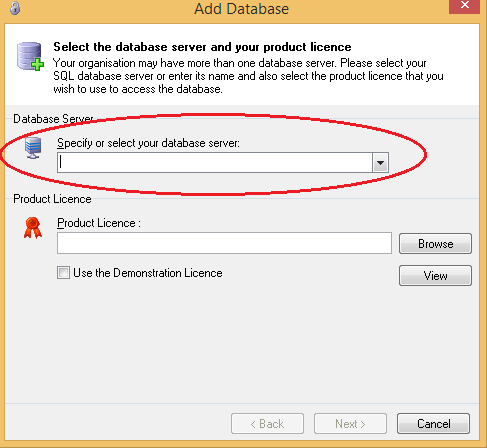 You can use the drop down list and select the SQL Server instance or type it in. 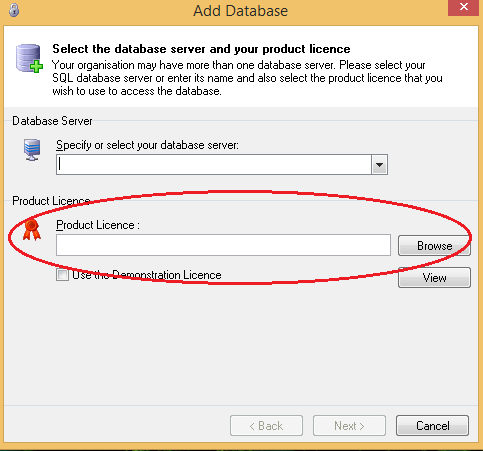 In the Add Database window you will need to know the location of the Product Licence. It is usually found in a Licence folder inside your “Support folder”. Note: there may be multiple versions of the licence, make sure you choose the the most recent one. You can browse to the location or type it in. From the next screen you select the Maze database that you want to add and enter in your login credentials for Maze database. 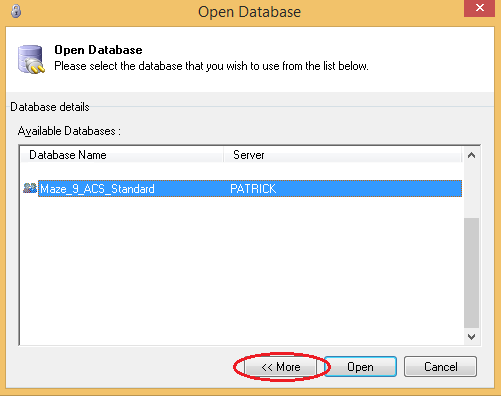 Note: there may be multiple databases available to select from. 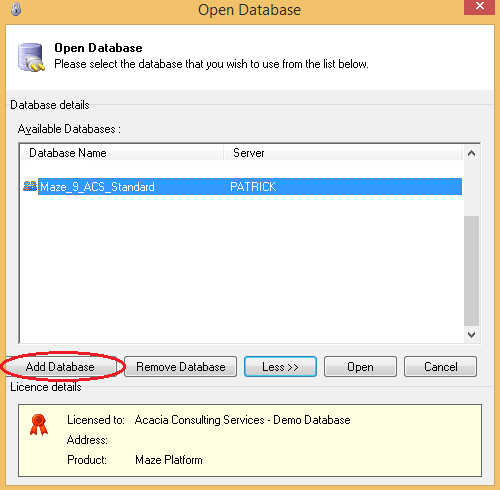 Confirm the addition of the database by selecting the Add button. 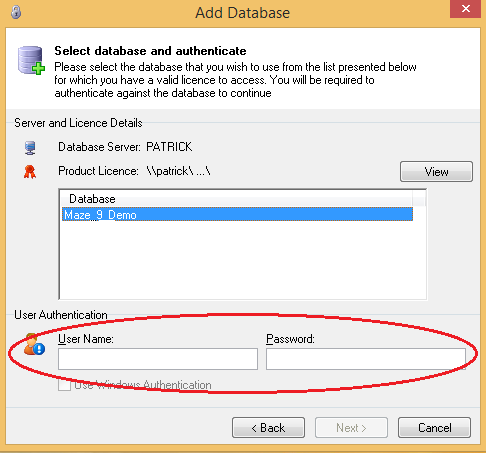 Make sure that you tick the Allow access to this database for all users of this machine if required. The addiotional database is now ready to be accessed. 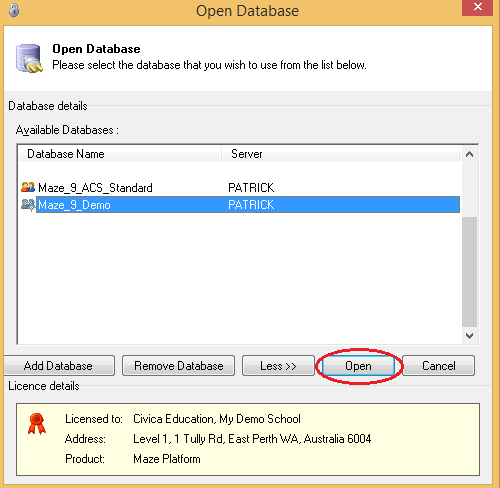 Note that Maze will automatically enter your windows user name when opening the databse for the first time. 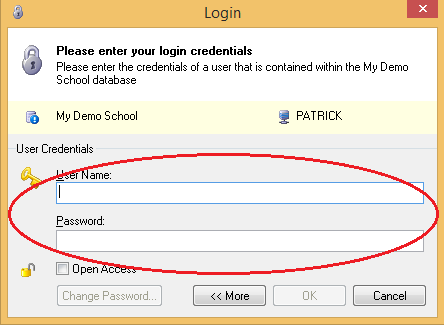 If you do not use your Windows credentials to open Maze, login with your Maze credentials to the newly added database.